Boskalis has won a large contract for the transportation of LNG-modules for a North American export facility. The contract has a value 55 million US dollars with additional options for extensions, worth up to 30 million. The contract ties up two high-end open-stern heavy transport vessels commencing the second quarter of 2021 through to the third quarter of 2022, one of which seems to be the ‘Mighty Servant 3’. At the beginning of this decade the United States was poised to become a large importer of natural gas, but that quickly changed due to the development of the shale gas industry. Many planned import facilities have now been redesigned to focus on export. 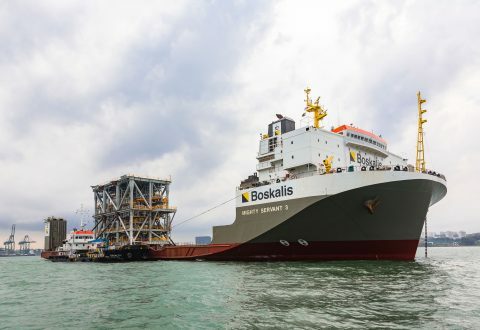 Boskalis has not disclosed the name of the facility or project the LNG-modules are for.